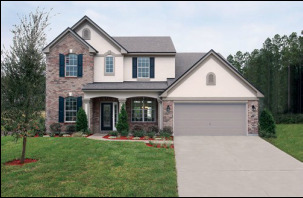 Pro Color Painting of Jacksonville, FL. offers interior painting services and exterior painting services in Orange Park, FL. The highest quality painting company in the Orange Park area. Specializing in interior painting, waterproofing, exterior painting, pressure washing or even epoxy coatings for your floors. Detail oriented and take pride in serving the homes, HOAs or businesses in Orange Park, Florida. You can trust Pro Color Painting company in Orange Park for extreme quality results. Let our painting company bring out the WOW in your Orange Park home or business. Contact us for all your painting needs. If your Orange Park property needs exterior painting, interior painting or pressure cleaning. 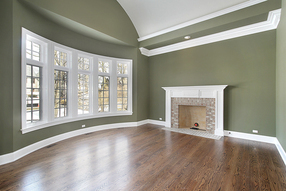 Call the Orange Park painting contractor who takes pride and exhibits quality. A painting company with a proven track record servicing the Orange Park areas. At Pro Color Painting, that’s exactly what we offer. The leading painting company in Orange Park, Florida. We believe in making the process smooth and easy for you. 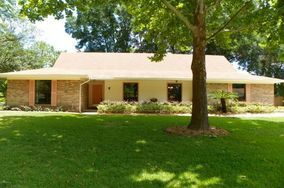 We will come to your Orange Park home property to gather info, take photos and provide you with a detailed painting estimate. Visit our contact form; submit an email, phone number and a time for us to contact you. Our painting company staff will get back to you very quickly to set up a time & date to view your Orange Park home or HOA community. Orange Park Painting Contractor: An Orange Park painting company offering interior house painting, exterior painting, waterproofing, pressure washing, commercial painting, HOA community painting, carpentry, wood rot repair, garage floor epoxies, condominium painting, drywall repairs and much more! We are a top rated painting contractor in Orange Park, FL. ​We offer Commercial Painting Services and have earned a high rating as a Jacksonville Beach Painting Service! Orange Park is a town in Clay County, Florida, United States, and a suburb of Jacksonville. Orange Park neighborhoods offer charm to homeowners and businesses. Orange Park has a history and culture all its own, with golf courses, varied hotel options, wedding venues, parks and shopping. Orange Park also hosts and sponsors special events such as Fourth of July celebrations, Arts and Crafts Festivals. What is the proper method and procedures to go about then choosing an Orange Park Painting Contractor in Jacksonville, Florida? Make an appointment for the Orange Park painting company to visit and examine the aspects of your painting project. Be very specific about the areas that you plan paint and what finishes you expect. In addition, paint colors should be discussed as well. The painting company will need to know. You should ask and check references of previous clients. This will give a better idea of the quality of the Orange Park painting company. It makes it easier to decide whether you are going to choose them. Last, but not least, you need to review the entire painting contract, once you are settled on a specific company to paint your Orange Park home or business. Request a written contract and review the details. You want your project to be beautiful for many years to come. Communication is paramount when hiring a professional painting company in Orange Park!